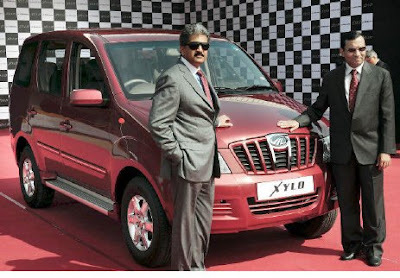 Mahindra & Mahindra Ltd. launched XYLO. It will be available at 57 select Mahindra dealerships in January and another 44 dealerships from February, and will start with a price range starts of Rs. 6,24,500. All XYLO variants conform to stringent BS III emission norms and comes in 4 exciting variants & eight elegant shades to suit a variety of tastes – be it masculine and powerful or contemporary and classy. These include Fiery Black, Mist Silver, Mint Green, Lucky Lilac, Gold Shimmer, Toreador Red, Java Brown and Rocky Beige. Mahindra XYLO has been completely engineered around the customer and has a powerful 2.49 litre mEagle CRDe engine which is fuel-efficient and delivers 112 bhp, allowing you to literally fly from 0-60 kmph in just 5.8 seconds. Moreover, it offers class-defining lavish space all around such that even a 6ft tall person can stretch in comfort on the 3rd row seat. The XYLO offers an extraordinary level of luxurious comfort at a very cost-effective price for prospective sedan buyers, according to Dr. Pawan Goenka, President, Automotive Sector, Mahindra & Mahindra Ltd.